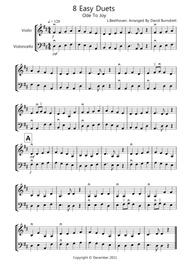 Composed by Beethoven, Holst, Offenbach, Vivaldi, Traditional. Arranged by David Burndrett. Set of Parts, Score. 19 pages. Published by David Burndrett (S0.7762). Eight Easy Duets! Ode To Joy, Oh, When The Saints, Swing Low, Sweet Chariot, The Can Can, Jupiter Hymn, Comin’ Round The Mountain, Scarborough Fair, Autumn from the Four seasons. I have arranged these duets so that they can be played by players of all standards. Each part gets the tune! 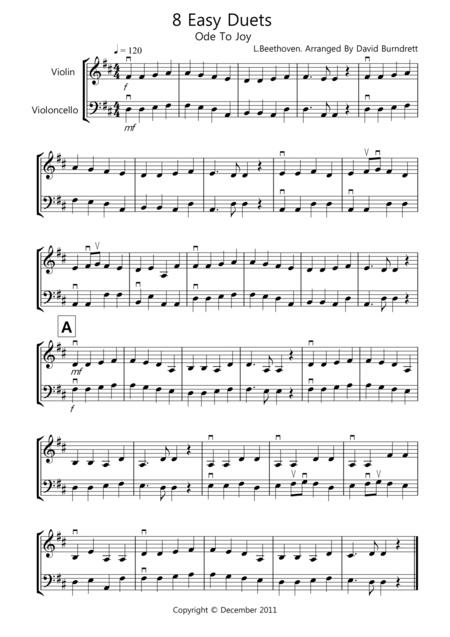 Download includes score and both parts. .